Are USB Broadband Modems Better than Ethernet? Most broadband modems support two kinds of network connections - Ethernet and USB. Both interfaces serve the same purpose, and either will work in most situations. Users can re-configure their modem between Ethernet and USB whenever needed, but both interfaces cannot be connected simultaneously. 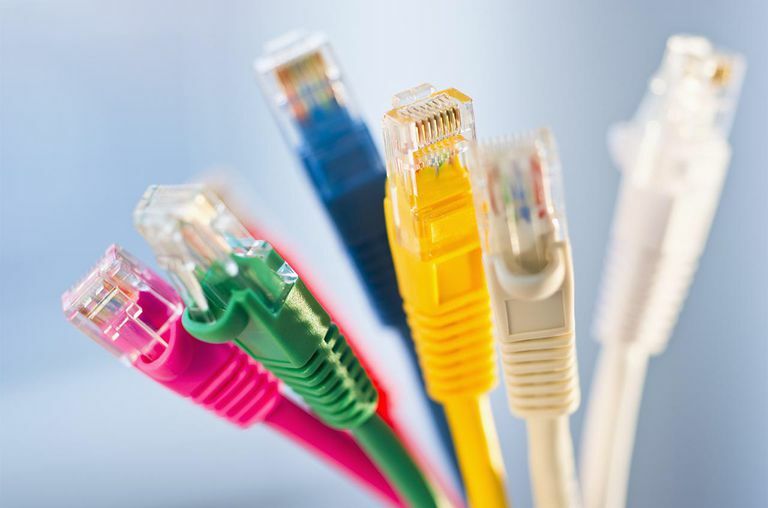 Ethernet is the preferred option for connecting a broadband modem, for several reasons. First, Ethernet is technically more reliable than USB for networking. You are less likely to experience dropped connections or sluggish response time to your modem when using Ethernet over USB. Next, Ethernet cables can reach a longer distance than USB cables. A single Ethernet cable can run most anywhere within a home (technically up to 100 meters (328 feet), while USB cable runs are limited to approximately 5 meters (16 feet). Ethernet also does not require the installation of device driver software, while USB does. Modern operating systems will be capable of automatically installing drivers for many broadband modems. However, the procedure varies on different operating systems and not all systems will be compatible with a given brand of modem. USB drivers can also slow down the overall performance of older computers. In general, a device driver is an additional installation step and source of potential problems that you need not worry about with Ethernet. Ethernet supports higher performance networking than does USB. This is the first advantage of Ethernet that many techies notice, but performance is actually the least relevant consideration in this list when choosing between USB and Ethernet connections. Both Ethernet and USB 2.0 interfaces support sufficient bandwidth for broadband modem networking. Modem speed is instead limited by the speed of the modem's connection to your service provider. One possible advantage of the USB interface over Ethernet is hardware cost. If the computer being connected to a broadband modem does not already possess an Ethernet network adapter, one must be purchased and installed. Normally, the other advantages of Ethernet listed above easily outweigh this up-front effort. Do USB to Ethernet Adapters Exist for Broadband Modems? What Is an Ethernet Port? Can You Run Ethernet Cable Outside Safely?